Thinking out loud, Blues defenseman Alex Pietrangelo has been rumored to be on the market. As we know, Winnipeg and St. Louis have made deals in the past. Heck, maybe they’ll be a good old fashioned bidding war at the deadline. Now, Vegas certainly feels comfortable with their defensive unit shutting down opponents. But it’s tough to rely on them to pick up a big goal, or even a point on the power play, which are both essential in the playoffs. 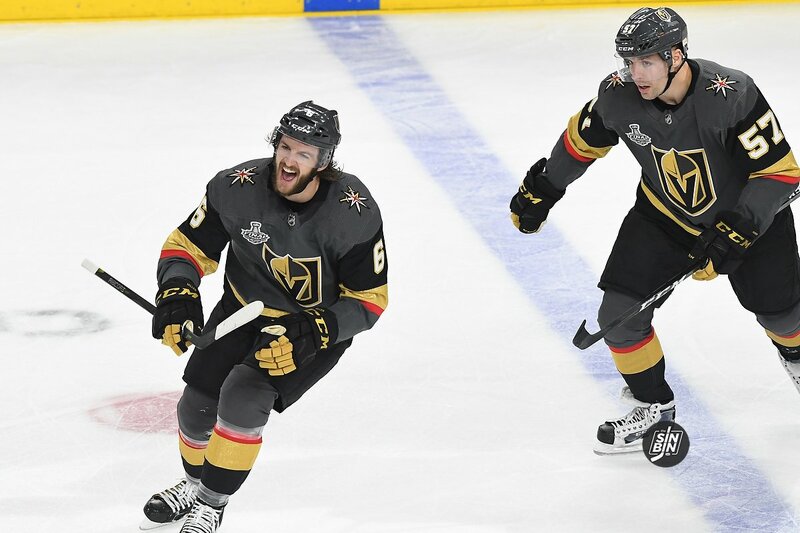 The Golden Knights defense scored 11 of the 57 goals by Vegas in the postseason. Oh, and 4 of 12 power play goals in the playoffs. George McPhee could become anxious around the February trade deadline if his defense doesn’t begin to produce. I suspect he may address third line scoring, but maybe an offensive defenseman is the answer. Let’s be clear, I’m no GM, but I know a guy… And he would activate a young, highly-rated scoring defenseman playing in the AHL that rhymes with Derik Crammstrom.